You choose 5 dishes + make a Thai curry paste, coconut milk, and sticky rice. We meet you at BTS Bang Chak and take you to a Thai market. Our professional Thai culinary school is fully air conditioned. No Heat-No Sweat-No Bugs--our guarantee. You choose 5 dishes + a curry paste to learn. You can choose from 30 available dishes. What do you want to learn? Meeting is at BTS Bang Chak, a market tour follows, eat what you cook, and our professional culinary school is fully air conditioned. 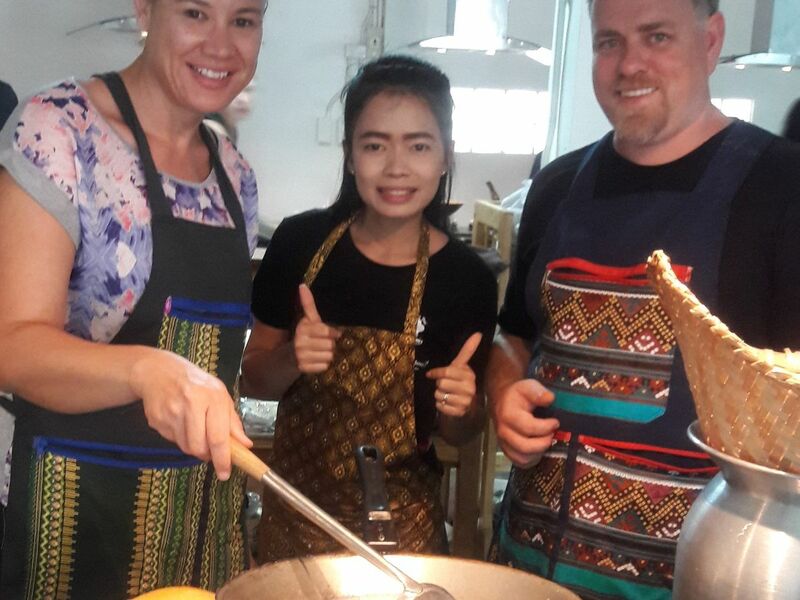 Our professional Thai culinary academy teaches over 200+ Thai dishes to professionals and beginners alike. We understand "authentic"; all cooking is done using woks, and all curry pastes are handmade at the school.